Wit is a weapon. 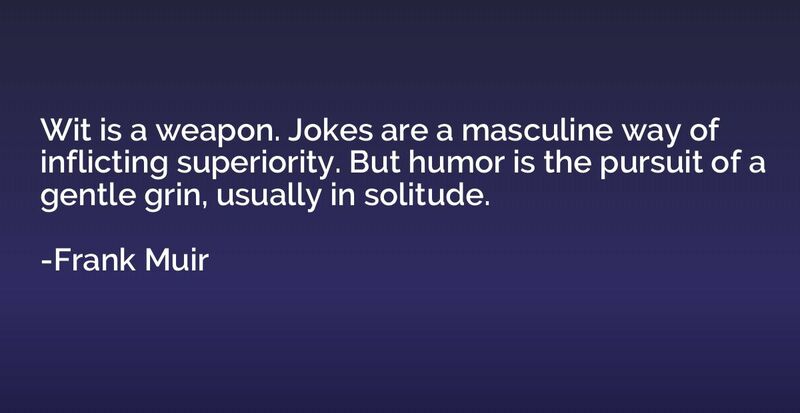 Jokes are a masculine way of inflicting superiority. But humor is the pursuit of a gentle grin, usually in solitude.